Doctors Rothman & Cammarano have been serving your family’s dentistry needs for over 30 years. Dr. Rothman & Cammarano DMD is a family dentistry practice serving New Haven County and surrounding areas. Located in Woodbridge, Connecticut their practice uses state-of-the-art dental technology to create long-lasting smiles. 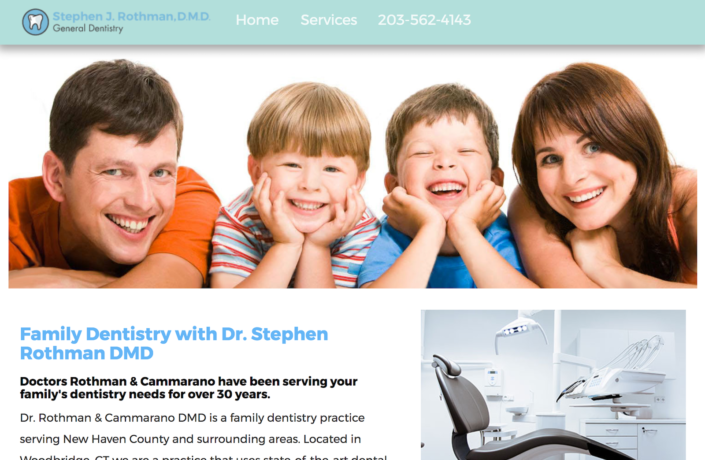 3PRIME created a simple user-friendly HTML website for Dr. Rothman & Cammarano DMD. Visitors can easily view the business information they need such as the address, hours, and services. There is also a feature on the site for a viral tour of their building. Built by HTML, 3PRIME created a mobile-friendly, responsive website with an awareness and emphasis on search engine optimization, site architecture, and keyword goals. 3PRIME created and setup a Google Analytics account for Dr. Rothman & Cammarano DMD. Tracking and analyzing website data is critical for improving a website, increasing organic rankings, and understanding visitors. 3PRIME is hosting the Dr. Rothman DMD website. 3PRIME knows how important it is to have someone you can trust and turn to for advice and troubleshooting when necessary. 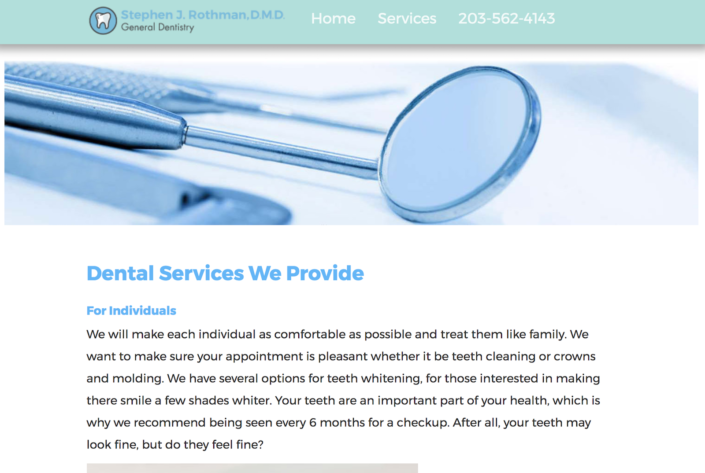 Hosting the site allows 3PRIME and dentist Dr. Rothman & Cammarano to continue working together and collaborate on any issues, changes or problems that arise.